Picked this up at Oddbins Baker Street (a while back). It pours unclear orange with a frothy, mostly white head. The aroma holds peach, tangerine, light pine, pale bread. Light to medium sweet flavour with subtle piney bitterness, more bready pale malts, orange rind, more tangerine, nectarine and peach. Light bodied with average carbonation. Lightly resinous to close, with further bready base, more tangerine and peach, some melon. Really good stuff. Very drinkable. 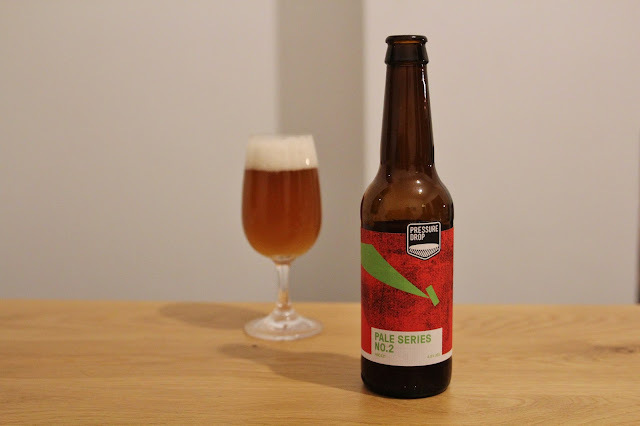 My favourite of Pressure Drop's 'Pale Series' so far. The food was always great, I think they just updated their menu and it's off the hook. Who would expect delicious pizza at such big events. Not me, but you can get some of the best pizza there. The best venues in NYC around this area.